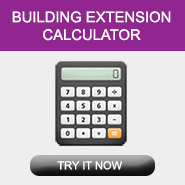 Building an extension on your home is a great way to increase your overall living space without having to move home. Moving home can cost thousands in fees so building an extension can be a good alternative when you are looking for that extra space from your home. Norcroft Construction have been building extensions for more than 13 years in Sunderland and the North East area with many satisfied customers. Most of our work comes from recommendations so you know you can trust us to do a good job. We are full members of The Federation of Master Builders so you can be confident that any work undertaken will be done to all relevant building regulations. An single story extension will extend your property outwards, usually into you garden or patio area to create more space for a kitchen or living room. This is a great way of adding more living space to your home. A multi-story extension will extend outwards and upwards to give the extension a minimum of two floors, usually to the same height as your existing roof. This is a great way to add more living or storage space both upstairs and downstairs in your home. An over-structure extension is usually done on top of a garage or existing single story extension. Unfortunately it is not always as simple as building right on top of the existing structure, especially in the case of a garage where the supporting walls may only be single skin therefore not capable of holding the weight of another story Investigation may have to be done to the foundations of the existing building to see if they are strong enough to take the weight of another story. A porch is usually a small extension to the front or side of your building. Although small a porch can ad valuable storage space in your home or be used as a small office space. A porch is a cheap way to add that little bit of extra space you might be looking for. A conservatory is one of the most popular ways to extend you home as it needs very little structural work to make quite a significant addition to the living space in your home. A modern conservatory is usually constructed using UPVC as it is cheaper and more durable than a lot of other materials. Wood or aluminium can be used to great effect but are normally more expensive.